I have been working with landing pages for 10+ years. At one point I was the developer, copywriter, graphic artist and even tester of these pages, but as we have grown we have hired specialists for each of these areas who deliver incredible work. There are very few problems I have not seen along the way. While there are literally hundreds of talking points for how to improve landing page performance, I wanted to share 7 actionable tips that not only have an impact on conversion. What are the 7 ways you ask? For those of you who prefer reading the points instead of going through the presentation, here are the 7 points that I touched upon and what they mean in the context of landing page optimization. 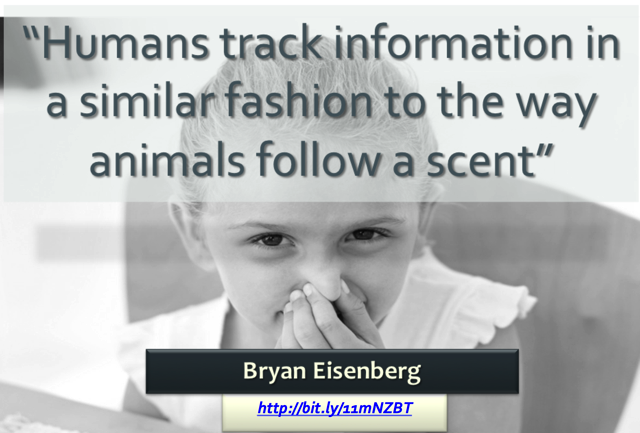 Make sure that your landing pages have a scent trail from your paid search keywords. Don’t promise one thing in a paid search ad in order to gain in CTR only to fail on that promise on your landing page. That is the biggest way to waste money out there. Be careful with dynamic keyword insertion. 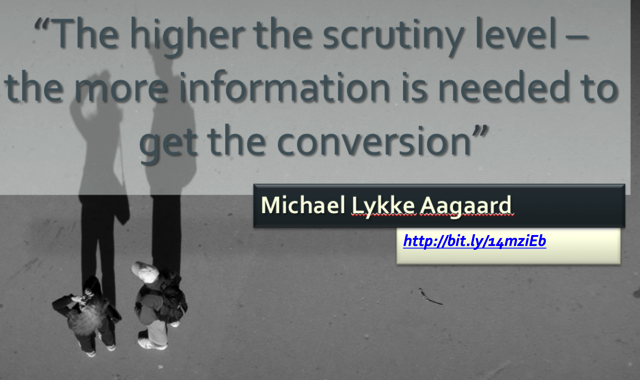 It may increase CTR and quality score, but it may hurt your conversion rate even more. Should you have a lot of copy on your site or just a little? It depends on the amount of commitment involved with the buying process. Big ticket items may take more consideration, so lots of copy and content may help. Quick decision products may not need a lot of copy to scrutinize. The same goes for choosing a landing page over a microsite. Both have their merits and it depends on your objectives. If you are selling a single product with a single offer, a landing page should do the trick. If there is a complex sales process, a microsite may fare better. 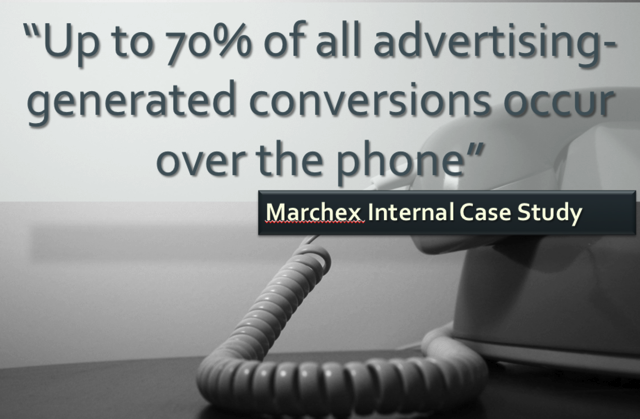 Make sure you track phone calls – they could be up to 75% of your leads! Use local phone numbers to appear local and national numbers to appear national. If you are running mobile ads, don’t forget to have click to call buttons on your mobile landing pages. You can learn a lot from a visitors IP address, so take advantage of this knowledge and fill information in for your visitors. If you can fill in their zip code and guess at their city and state, a form with 7 fields only feels like 3 to the user. Do as much work as you can for your visitor and hopefully they will pay you back by becoming a lead. Don’t forget to use maps as well. A point on a map has a much stronger association to users than a two line address. 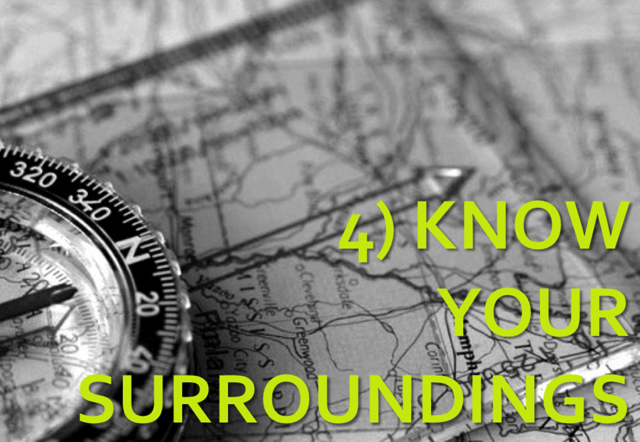 Maps have immediate recognition while addresses can often be fuzzy in the minds of visitors. Trust badges are often placed on websites under the assumption that they will work. Many times, they do, but it’s not a given. Be sure to test the impact of trust symbols before blindly adding them to your site. Arrows and lines of sight draw attention. Try to incorporate them into your landing page design and development. Understand the psychology of offers and the impact pricing has on perceived value.While there are common rules of pricing, make sure that you test what works best for you. If you are asking someone for their personal information, it better be worth it in their eyes, or you will not have many conversions. Forget everything that I said, because your mileage may vary. Just because a test gave positive results for one company doesn’t mean that it will for you. That is why we test; to find the answer using data and statistical confidence over opinion. What do you think of these landing page tips? 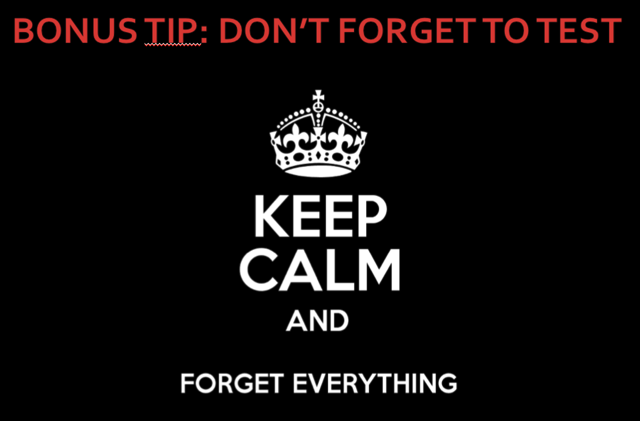 Are there any other juicy tips that you think I should share in a future presentation?